She’s one of Australia’s fastest sprint hurdlers and now with PUMA: 22-year-old Michelle Jenneke is the perfect blend of performance and personality for our growing female family of top athletes. As PUMA is placing greater emphasis on increasing its appeal to a female audience, Michelle Jenneke recently signed an endorsement contract with us to become the latest addition to our Track & Field roster. 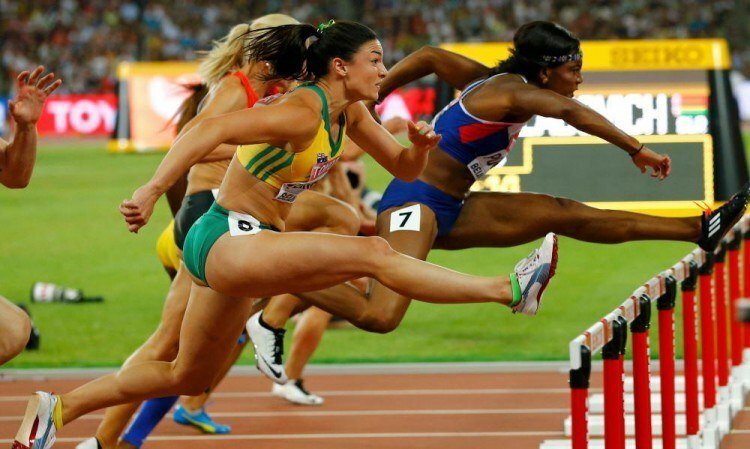 The 2015 IAAF World Championship semi-finalist recorded the second fastest time ever by an Australian woman in the sprint hurdles this year. But she’s not only fast – she also knows how to entertain! Her pre-race warm up at the 2012 World Junior Championships saw her become an internet sensation as the ‘Dancing Hurdler’ – a funny choreography she repeated at the IAAF World Championships in Beijing. While Michelle loves to run at the top of her abilities, she makes sure to bring her character to PUMA and her sport. We are excited to watch Michelle’s performances as a hurdler – and an entertainer! It’s important for me to work with like-minded people. I have no doubt PUMA will be a great partner to me and I am looking forward to being an ambassador for such an iconic brand.